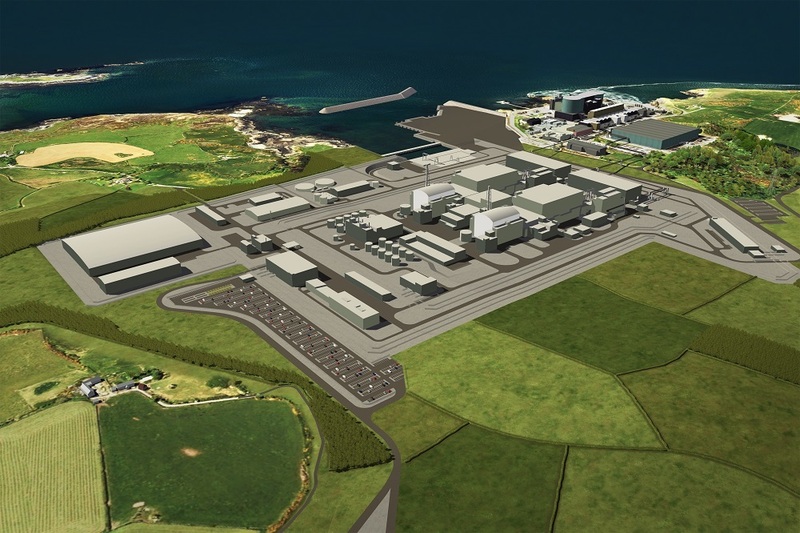 Unions have urged the Government to step in and help take Wylfa forward, after plans for the multibillion-pound new nuclear power station were suspended. But environmental campaigners called for a rethink of UK energy policy. Hitachi announced it was not continuing with the work on Anglesey in North Wales. Doug Parr, chief scientist for Greenpeace UK, said: “Hitachi’s confirmation that no solution has been found for its UK nuclear programme tells you all you need to know about the economics of nuclear power. “In the meantime renewable energy costs, especially offshore wind and solar, have plunged dramatically, while new smart technologies including storage have arrived on the scene. An EDF Energy spokesman said its new nuclear power station at Hinkley Point in Somerset was making good progress, and a third round of consultations were under way for a plant at Sizewell in Suffolk, showing that nuclear has a “strong future” in the UK. A spokesman said: “More than 3,600 people are now working on the construction site at Hinkley Point C and the project is on track. “The UK policy identifying the need for nuclear to play a role alongside renewables has been supported by numerous independent studies. Sara Medi Jones, acting general secretary of CND, said: “Today’s decision is good news because it opens the door to investment in the renewable technologies of the future, and to leave behind dirty and dangerous nuclear power. Justin Bowden, national officer of the GMB union, said: “The Government must act and step in now, pick up the reins and take whatever funding stake and leadership is necessary, to ensure Wylfa goes ahead on time. Unite official Peter McIntosh said: “Without Wylfa being built, there is no way the country can meet its climate change obligations which it committed to when it signed up to the Paris Agreement in 2016. “We need to replace the current generation of nuclear plants and Wylfa is a key part of that programme. The Business Department said Mr Clark will set out more detail on the Government’s approach to new nuclear as part of the planned Energy White Paper to be published in the summer. Officials pointed out that the cost of renewable technologies is falling rapidly, with the cost of offshore wind halving over the last two years. Secretary of State for Wales Alun Cairns said: “Today’s announcement does not spell the end for opportunities at Wylfa. All parties continue to see potential in the site and the UK Government stands ready to discuss options for Hitachi or other partners to deliver new nuclear in North Wales. Emma Pinchbeck, of RenewableUK – which represents the wind industry, said: “Today’s announcement risks blowing a hole in the Government’s plans to meet our carbon targets. “We have the technologies, like renewables and nuclear, that can deliver a low carbon energy system and Government is rightly backing our world leading offshore wind sector, which can meet a third of our power needs by 2030. Rachel Reeves, who chairs the Business Select Committee, said: “The announcement deals a heavy blow to the Government’s energy policy and to jobs and the local economy.